You Order, We Print and Deliver! As low as 1 per parcel dispatch. What is a fulfillment service? Feeling the hassle when having to send out your playing card decks to hundreds or even thousands of customers individually after a successful Kickstarter campaign or through your own sales channels? Having to source your own packaging and labeling materials and handling the logistics to get your orders to your end customers is by no means straight forward. We at MPC can provide a one-stop service from manufacturing professional card decks to delivering your orders in robust and insulated packaging to your clients globally through our fast and efficient network. Our order fulfillment service will only cost you 1 additional charge per parcel which covers the address labeling, all the packaging and labor regardless of the number of parcels you need and their physical size. We will use the same efficient packaging and logistics system which we use for our own customers orders at MakePlayingCards.com. There are no setup fee and no minimum order requirements. Our fulfillment service provides a tracking number for each and every parcel shipped from our premises to anywhere in the world. We will provide to you all tracking numbers in an Excel sheet once shipped for your reference and follow-up on any cases with the corresponding postal services. On top of our normal shipping charges per individual parcel sent, we include a small surcharge on top as shown below in the table which will include a tracking number for proof of postage, all packaging and labeling printing and materials and labor. Example: To ship 100 parcels each containing 1 deck of cards to 100 US addresses using our fulfillment service. The fulfillment cost for each individual parcel would include the normal 5.99 shipping charge plus the 1 surcharge for handling which is $6.99. Multiply this by 100 parcels, the cost of this service in this case would be $699. We are not liable to pay or compensate for any sales taxes, import duty, VAT or any other taxes or charges imposed by any customs or postal services onto shipped parcels. These are the responsibility of the person who uses our service. On using our MPC fulfillment services, you agree to not to hold us liable for any of these extra costs that may occur. In the rare event that not enough postage was applied to certain parcels, we will indeed make up the difference. All parcels that we ship out are boxed, insulated and packaged in a way that should withstand normal bumps during transit. In very uncommon cases where there are damages to the product itself, we will assist in the investigation as to where and how the product was damaged. The same guarantee and returns policy applies to these individually shipped parcels from our fulfillment services. Our fulfillment service is perfect for Kickstarter playing cards projects, online stores or companies who need to send out promotional cards to their end clients. Basically, this is for anyone who needs playing cards manufactured and wishes them to be sent directly to their own end customers without having to go through themselves. Our order fulfillment service saves you time and money on storage, sourcing your own packaging materials and setting up your logistics. Wherever your customers are, we can ship your cards there. 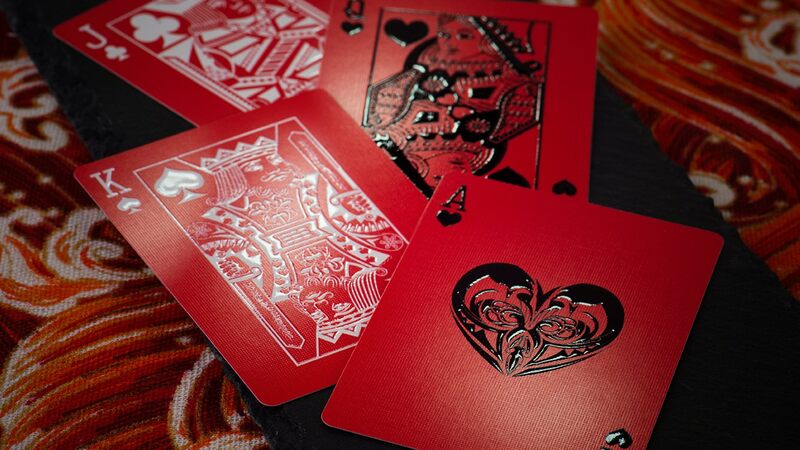 Our service lets your business grow more quickly with fast delivery on high quality casino playing cards and card accessories such as uncut sheets, custom boxes, custom seals, brick boxes and special production techniques such as gold foil stamping, embossing, spot UV and more. Our fulfillment service eliminates the pain of resending out each and every one of your playing cards ordered through us to your own customers. If you are in need to print and send out some promotional cards for your business, we have the perfect one stop solution for you. You take care of growing your business or Kickstarter project, and we will take care of the rest for you! Contact us for more details.